Traditional ATs and CVTs are both types of automatic transmissions. The driver does not have to manually shift gears in vehicles that have either of these transmissions. Rather, the vehicle's computer system automates the shifting. While there are basic similarities between ATs and CVTs, it is the differences that often determine which one a driver prefers. Automatic transmissions have a set number of forward gears ranging from two to five. Even the process to operate the gears tends to be the same regardless of make or model of the vehicle. For example, to begin to move forward, it is customary that cars with ATs will begin in first gear and switch to higher gears as speed increases. Unlike ATs, there is no fixed gear ratio with continuously variable transmission. 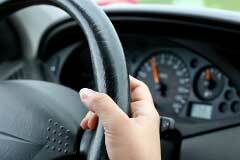 So while they begin at the lowest gear, CVTs do not switch gears in increments. CVTs are able to shift gears in infinitely small increments or in larger ones as needed. This why drivers with CVTs do not feel or hear the gears shifting like you do with AT. With CVTs, engine speeds are more constant which means CVT cars are more fuel efficient than those with ATs. The primary reason for this is that unlike an AT, a CVT vehicle's engine is always operating at the revolutions per minute (RPM) that is most efficient at every speed. Another reason CVTs use fuel more economically is that a CVT is able to create a kinetic energy recovery system. Basically, it recovers energy and stores it for later use, typically when accelerating. And this reduces reliance on energy from fuel. Because CVT has a more efficient RPM, it can typically reach desired speeds faster than traditional automatic transmissions. With an AT, higher speeds mean the engine works harder. But a CVT provides the faster acceleration at a constant velocity so the engine does not work any harder. There is simply an initial revving of the engine and then the engine speed is set. Because it feels like you are moving slower than you actually are, it is not uncommon for drivers with a CVT to have to adjust their acceleration, especially if they previously drove a vehicle with AT. Most drivers notice a difference when driving a car with an AT versus one with a CVT. Some believe the CVT offers a smoother ride while others do not like the driving experience afforded by the CVT. Drivers accustomed to traditional automatic transmissions may feel the CVT is more sluggish. But this may really be because drivers do not feel or hear the gears shift with a CVT as you would with an AT. With ATs, you usually feel a surge when accelerating but that is missing with a CVT. Because of driver resistance to CVT, auto makers are working to make the CVT feel more like an AT. Drivers will be able to feel like they are driving a car with an AT while receiving the benefits of a CVT. It seems most drivers have a clear preference when it comes to AT and CVT. While improved performance is always a major benefit, driver comfort is often the deciding factor when choosing one type of automatic transmission over the other. Perhaps over time more drivers will accept the CVT more than they do now. Getting used to the revving of the engine is probably the biggest obstacle where CVT is concerned. Drivers do not expect the extent of revving that takes place since it does not occur with ATs or even manual transmissions. Eventually this will be addressed by auto makers as well to attract more drivers to CVT.